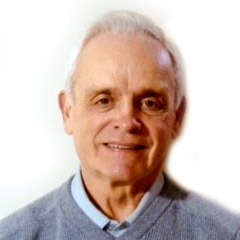 We welcome Tom Taratino to the Dellner Dampers Team. Tom will take care of our Rail business in North America. He has extensive experience within the North American Rail business and worked for Dellner Couplers for many years in the US. Dellner Dampers has been chosen by the world’s largest crane manufacturer, Shanghai based ZPMC, to supply protective, energy absorbing buffers for three ship-to-shore cranes that are destined for the Freeport Container Port expansion in Grand Bahama. The cranes will be fitted with Dellner HYBUFF G120-500F hydraulic buffers which, having been custom-built in Sweden to ZPMC’s exact specifications, deliver a 500mm stroke and damping force of up to 700 kN. Each crane will be fitted with eight buffers (shock absorbers) – one at each corner of the trolley and one at each corner of the gantry base – to absorb energy and protect the crane from damage in the event of collision. Dellner Dampers has also been chosen to supply dampers for four crane spreaders that industry leader Bromma is providing for the Freeport expansion. Dellner Dampers Sales Manager Mikael Sund said: We are delighted to be working with ZPMC and Bromma on the prestigious Freeport expansion project. Dellner Dampers has a focus on innovation that stretches back more than 50 years, so our customers can be assured of high quality products that are rigorously tested and precision engineered for long-lasting performance. If you’d like to know more about Dellner Dampers, pop along to their stand (A32) at TOC Europe 2017 in Amsterdam from 27 to 29 June. At TOC Europe, Dellner Dampers will be joining forces with sister Swedish company Dellner Brakes to present, to port and terminal operators, the two companies’ range of high quality, precision engineered safety products for cranes and other materials handling equipment. The Dellner Dampers HYBUFF G-series hydraulic buffers have a robust design and offer strong resistance for higher forces. They can be custom built to any specification, with cylinders in any colour, according to customers’ requirements. Dellner Dampers are based in Flen, Sweden, where the company has been developing innovative damping solutions since the 1960s. Dellner Dampers AB is part of the Dellner group of companies, which has more than 700 employees worldwide. 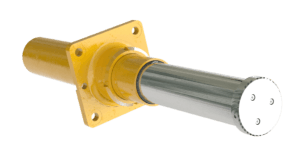 Dellner Dampers buffers and dampers are used all over the world for a range of applications including ship-to-shore cranes, container spreaders, crash test rigs, bridges, wind and wave turbines. As well as industrial applications, Dellner Dampers is also highly active in the rail industry. Certified according to ISO 9001:2008, Dellner Dampers’ Scandinavian design, robust assembly and precision testing processes assure customers of the most reliable, highest quality products, every time. The Hutchison Ports Freeport Container Port on Grand Bahama Island is a major container transshipment hub for the eastern seaboard of the US and the principal east / west line-haul routes through the region.